Dianne Lost 2 Stone + Dropped 2 Dress Sizes & Looks Amazing! 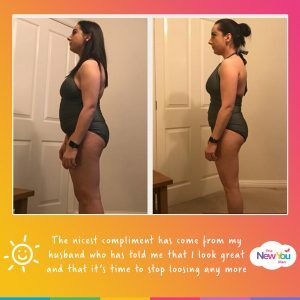 The great thing about The New You Plan, is that no matter how little, or how much weight you have to lose, it’s easily achievable, and customer Dianne proves just that. 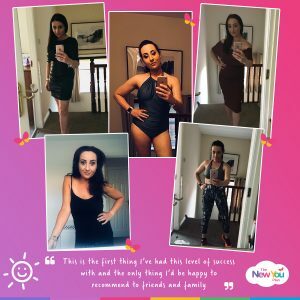 Feeling fat, unattractive and avoiding social occasions at all costs, she was desperate to lose weight. 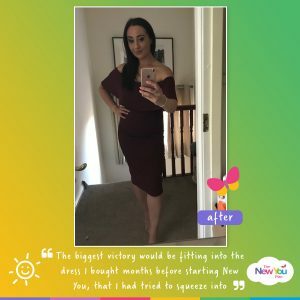 Thankfully, she found The New You Plan and in just a couple of months, she has lost 2 stone, dropped 2 dress sizes and feels amazing! Dianne, describe how you felt before you started the plan? I felt fat and unattractive. I really hated seeing myself in photos and avoided nights out or social gatherings at all costs. 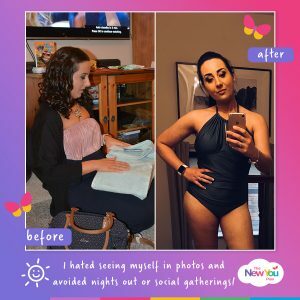 My clothes always felt horrible on and I stopped shopping for nice things to wear because I couldn’t see the point in even trying. I came across The New You Plan by searching online in desperation. I bought my first 10 day pack that day. I thought that if it didn’t work then I hadn’t lost out that much as it wasn’t expensive. It arrived the day after and 10 days later I had ordered another 10 day supply as I had already dropped 7lbs. See that first half a stone shift so quickly and easily was the perfect incentive to keep going. How has the plan changed your life? It’s given me the confidence to go to a gym for the very first time and to change my eating habits for the better. 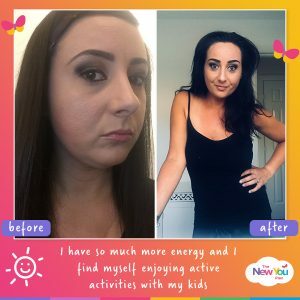 I have so much more energy and I find myself enjoying active activities with my kids that I wouldn’t have felt comfortable doing before, such as swimming, as I would have felt too self conscious in a swim suit. 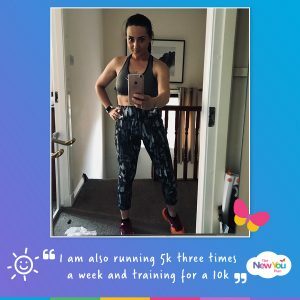 I am also running 5k three times a week and training for a 10k. I’d never have considered this at my starting weight. What was your biggest motivator in staying on track? 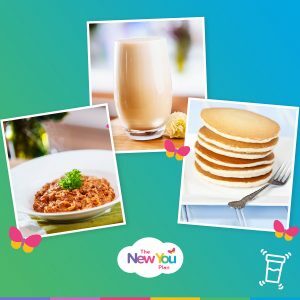 My biggest motivator has been the Secret Slimmers Facebook page, where everyone has been great sharing success stories as well as ideas for meal ideas. They have kept me focused, motivated and on track. My biggest victory would be the black dress I bought months before that I tried to squeeze into before starting New You. I had been close to donating that dress to charity after believing I’d never fit into it. Getting into this and zipped up comfortably after just two weeks was amazing. Since losing weight, what is your proudest moment? The proudest moment so far was having lost a full stone and having to check three different sets of scales to make sure it was true. What is the nicest compliment you’ve received since losing weight. The nicest compliment came from my husband who has told me that I look great and that it’s time to halt loosing any more. My favourites are definitely the Heavenly Hazelnut Shake, which I make with ice and coffee as a frappe – I could easily live off these. I also love the Spicy Noodle Nosh and the Maple Syrup Pancakes too. What advice would you offer anyone thinking of starting the plan? Definitely do it. Don’t debate if it’s worth it – just do it. It is the first thing I’ve had this level of success with and the only thing I’d be happy to recommend to friends and family. I have ended up recommending The New You Plan to several work colleagues as they all wanted to know what it was I was doing. Definitely get added to Secret Slimmers and take every day as it comes. ← Don’t Give Up On Your TFR Diet!